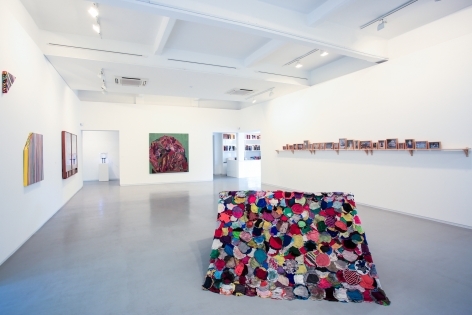 Sundaram Tagore Singapore and curator Gary Ross Pastrana present work by eight emerging and established artists from the Philippines who find inspiration exploring their everyday surroundings. 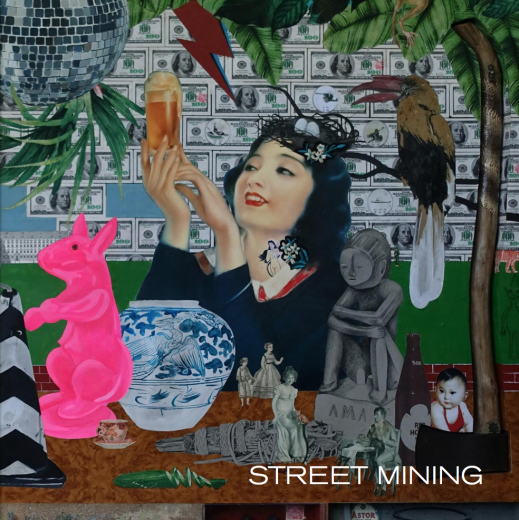 Through painting, sculpture, installation, photography and video, these artists create personal narratives influenced by the colorful, chaotic streets of Manila and beyond. The work in this show offers a rare glimpse into one of the most dynamic, up-and-coming contemporary art scenes in Southeast Asia. On view will be work by artists Poklong Anading, Louie Cordero, Vic Balanon, Nona Garcia, Kawayan De Guia, MM Yu and design collective Broke. Internationally recognized artist Poklong Anading explores issues of identity through subjective investigations into social occurrences. 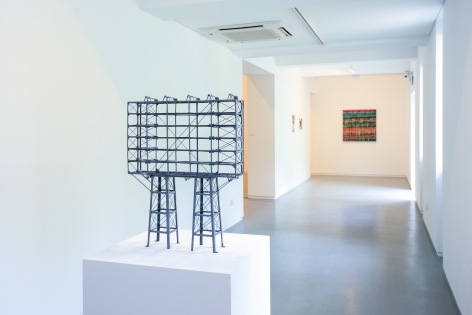 Formally trained as a painter, the Manila-based artist’s practice has expanded to include sculpture, installation, video and photography. 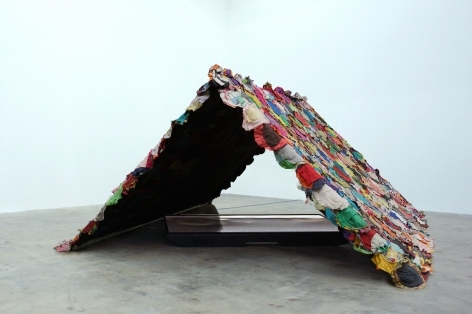 Anading’s work often takes an interactive approach, engaging with both subject and viewer. 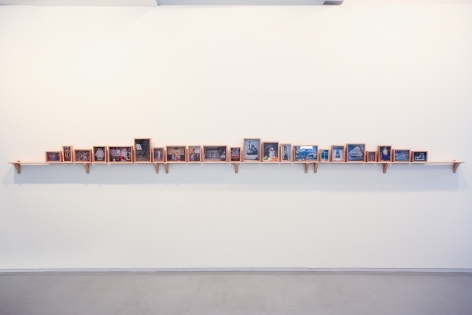 His photograph Counter Acts (2004), part of his series Anonymity (2004 – ongoing), in which Anading photographed his subjects holding round mirrors in front of their faces, was included in the landmark 2013 Guggenheim exhibition No Country: Contemporary Art For South and Southeast Asia and acquired for the museum’s permanent collection. 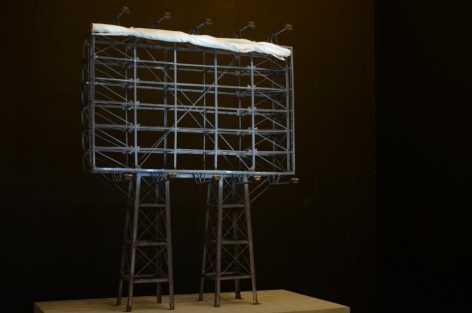 One of the most influential young artists working in the Filipino art scene, Nona Garcia is perhaps best known for her elaborate, large-scale paintings characterized by an intense, photo-realistic approach and for her series of X-ray installations—illuminated films of found objects encased in light-boxes. Although representation plays a strong role in terms of her aesthetic, at its core, the Garcia’s work draws from a purely imaginative abstraction of its subject. 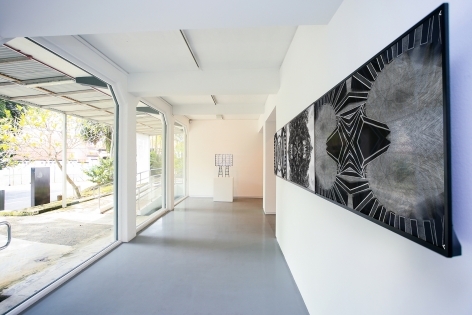 Garcia has exhibited her work in China, Italy, the Philippines, Malaysia, Thailand, Singapore, Korea and Japan. In 2003 she received the prestigious Thirteen Artists Award and was the grand prize winner of the Philip Morris Art Award in Singapore in 2000. Louie Cordero explores imagery and narratives inspired by the history, religion, politics and popular culture of the Philippines. Articulated in a riot of color and infused with elements of kitsch and abject absurdity, Cordero’s work is populated with detached body parts, mutated creatures of unknown origin, graphic scenes of violence that border on the grotesque, juxtaposed alongside vivid imagery of Indian advertisements, American B-movies, symbols of Catholicism and relics of Filipino folklore. 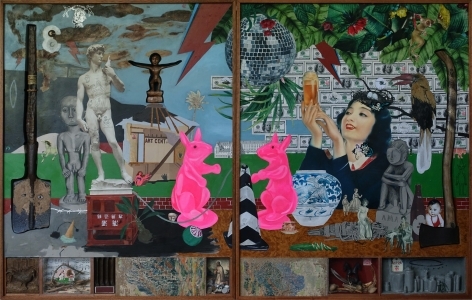 The Manila-based artist’s aesthetic has evolved over time, from purely figurative renderings to more abstract compositions—a fusion of primitivism and formalism that forms a unique visual language reflecting Cordero’s offbeat take on contemporary Filipino society. 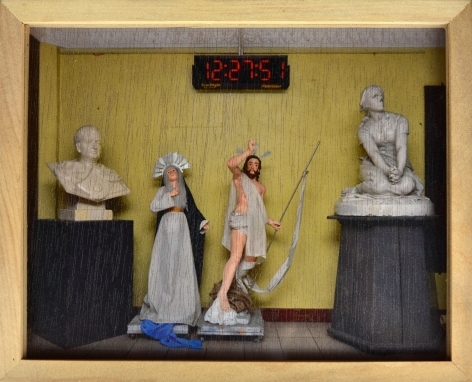 Baguio City-based artist Kawayan de Guia produces drawings, paintings, sculpture and installations that explore sociopolitical issues in contemporary Filipino society. 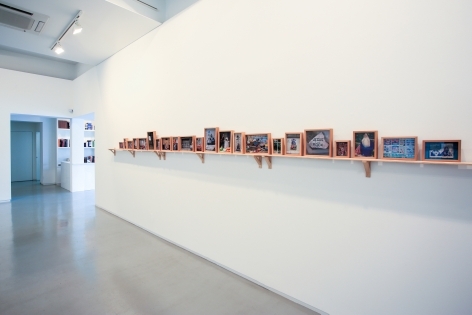 The artist fuses seemingly opposing ideas, such as consumerism and spiritualism, into collages and assembled installations made from found objects that embody local character. Although broken and discarded, these miscellaneous items are imbued with personal significance—something de Guia perceives as part of a cultural collective memory, which he aims to galvanize and reactivate through his work. 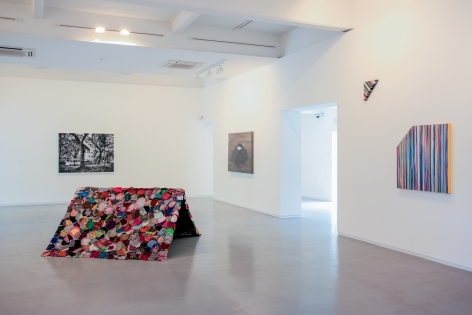 De Guia has completed several residencies, including at the Art Omi International Center in Ghent, New York. 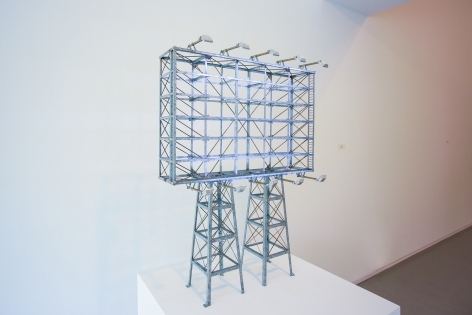 He received the Philip Morris Asian Art Award in 2003 and the Ateneo Art Award for Visual Art, Manila, in 2011. Victor Balanon is a self-taught artist based in Quezon City, who finds inspiration in photography, film, literature and critical theory, as well as popular media, such as graphic novels and punk music. He employs a variety of media in his practice, from pen and ink to painting and video. Balanon uses video to explore concepts of place and time. His work often examines the nature of man’s personal and collective memory by reimagining moments mined from old news reels and iconic movies—especially those by filmmakers who challenged conventional norms of storytelling, such as Andrei Tarkovsky, Robert Bresson and Michelangelo Antonioni. 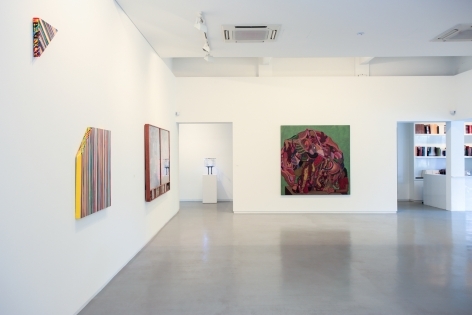 Balanon has exhibited extensively, including at the Jewish Museum, New York; the Singapore Art Museum; the Kaohsiung Museum of Fine Arts, Taiwan; and the National Art Gallery, Manila. Manila-based artist MM Yu produces semi-autobiographical photography and paintings that offer a kind of contemporary mapping of the world she inhabits. In her painting practice, Yu explores themes of structure and organization through abstractions of color, experimenting with the effects of gravity through both deliberate and random applications of pigment. With her photography, Yu’s subjects are often people and objects she comes across locally, from a mountain of discarded shopping carts abandoned along the roadside, to makeshift street shelters fashioned from dirty mattresses. Some might think such seedy vignettes would result in a bleak characterization of the urban experience, but through the artist’s lens, these isolated moments are transformed into colorful and capricious odes to Manila. The design cooperative known as Broke explores the nature of both object and artist. Led by Jeremy Guiab and Gary Ross Pastrana, the collective examines the process of producing art with a playful approach, from investigating how objects come to be, to looking into the artist’s psyche for insight into the creative process. In addition to producing their own work, which is often constructed from reclaimed materials found in and around Manila, Broke functions as an ideas laboratory that brings together artists, designers and fabricators. The collaborative serves as a uniquely conceptual feature of their Manila-based furniture-fabrication company Bespoke, which takes an integrated approach to design and art. 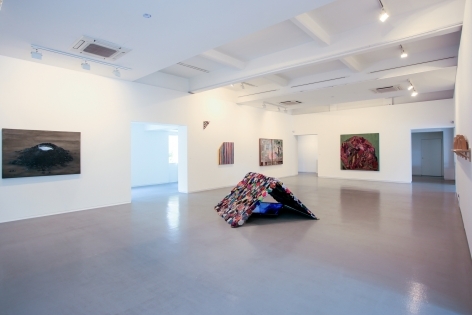 Based in Manila, Gary-Ross Pastrana is a conceptual artist and curator known for his poetic sculptural installations. Pastrana is one of the co-founders of the artist-run collectives Broke and the Future Prospects Art Space in Cubao. He has curated and participated in numerous exhibitions at home and abroad, including at the Jorge B. Vargas Museum and the Metropolitan Museum of the Philippines and the Singapore Art Museum. 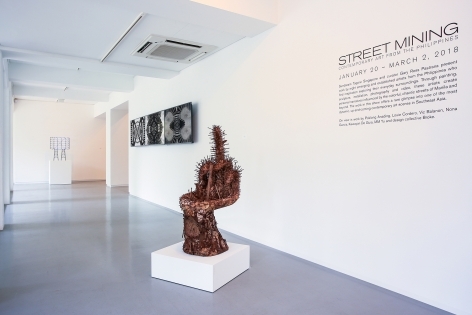 Pastrana was also the Philippines’ representative for the New Museum’s 2012 Triennial in New York. He holds a BFA in painting from the University of the Philippines and received the Thirteen Artists Award from the Cultural Center of the Philippines in 2006.